Works For iPhone Xs Max (6.5inch 2018 release). 0.33mm tempered glass screen protector. Featuring maximum protection from scratches, scrapes, and bumps. 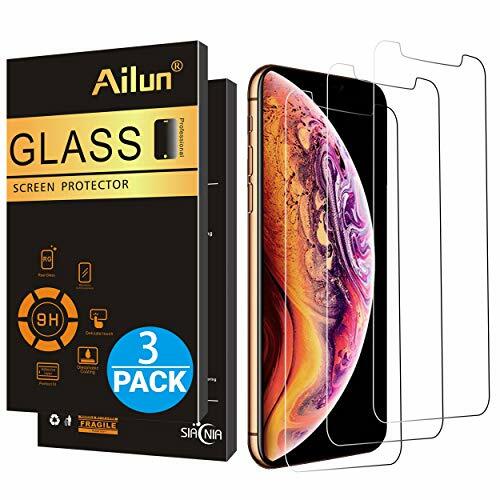 Specialty: Due to the rounded design of the iPhone Xs Max and to enhance compatibility with most cases, the Tempered glass does not cover the entire screen. HD ultra-clear rounded glass for iPhone Xs Max (6.5inch 2018 release) is 99.99% touch-screen accurate. It is 100% brand new,Precise laser cut tempered glass, exquisitely polished,2.5D rounded edges. [12-Month Warranty]Easiest Installation - removing dust and aligning it properly before actual installation,no worrying about bubbles,enjoy your screen as if it wasn't there.Precise laser cut tempered glass,perfect fits.